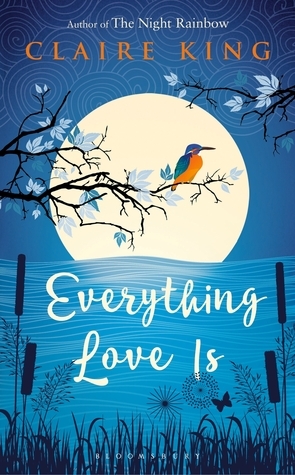 "The Night Rainbow" and "Everything Love Is"
Read on for an interview with Claire King and a chance to win 3 signed copies of "Everything Love Is" for your book group! · What are the common themes that run between the two novels? · Both novels have unreliable narrators – why has the author chosen to tell these stories through their eyes? · How do you feel about the way the author has tackled the different, difficult issues raised in the stories? What does this tell you about how she sees the world? 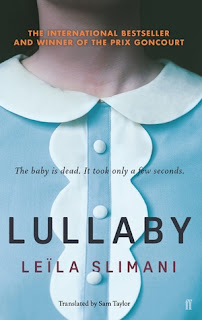 · What would you say has changed about the author’s style between her debut and second novels? And here is an interview with Claire King as she very kindly agreed to answer my questions about the two novels. Thanks Claire for your time and thoughtful, detailed responses to my questions! Both books are set in France- why did you choose this setting? What issues/ obstacles /problems (if any!!) does it raise when you are writing the stories? At the time of writing both novels I was living in France, and wanted to set my novels there because there is so much to work with in the locations and the people. Not having grown up in France there's a lot to pick up on as a writer that you might take for granted if you had lived there all your life. But there are challenges there too. 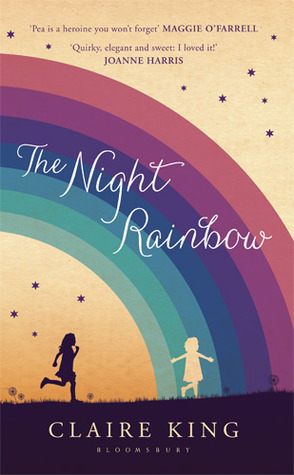 In The Night Rainbow the perspective is very much that of an outsider, with Pea's family living on the periphery of their French village both physically and socially, which means any observations they make as to the community they live in are valid from their external perspective. In Everything Love Is all the characters are born and raised in France, so I think the bigger challenge with that novel was getting under the skin of them, culturally and creating authentic characters. Which authors / novels have most influenced your writing? I honestly don't know. I think everything I read influences my writing, from the extraordinarily bad to the extraordinarily good, and from books I love to those I don't enjoy at all. The more I read, the more I find my place, and realise that I just have to write what I'm passionate about and in the way that feels best for me, because it's certain whatever I write, it will only hit the spot for a small fraction of readers. Both novels are similar in genre, style and with the issues they explore. Is this something that will continue in any future projects or is there another genre that appeals to you? Which were your favourite passages in each book? Maman's belly is at the stove, her bottom squeezed up against the table where we are colouring. Her arm is stretched forwards, stirring tomato smells out of the pan and into our socks. She isn't singing. The problem with a lot of people, says Margot, is that they don't notice the important things. What input did you have on the covers of the books? The book covers (several options for each) were designed at Bloomsbury and went through the editorial meeting first for a consensus view before being shown to me. At that stage I was asked to input. I requested several small but important tweaks on the hardback cover of The Night Rainbow, and likewise on Everything Love Is. Bloomsbury were very helpful at getting things just right. Are you planning / working on another novel? Yes I am, although this year has been a bit of a writing famine as I've also been managing a move to England with all that entails, plus a new job, the launch of Everything Love Is etc etc. But I'm the kind of writer that gets on with writing in my head even when I'm not getting words down on paper, so that's OK. I'm very excited about the novel I'm working on at the moment, but can't really go into more detail. It's going to reach deep into the heart of what it means to be family, and also a little into the British psyche I hope. Are there any books you would recommend reading for people who enjoyed your novels? There are so many books I love personally, but I'm not sure how my own tastes in reading marry up with what I write. Perhaps I could be cheeky and ask you to make some recommendations! Can you tell me a little bit more about the difference between writing and publishing a debut versus a second novel..? No, really, it's a huge thank you to you!! Claire it's been an absolute honour, privilege and joy to spend so much time thinking, reviewing and planning these blog posts for your novels! Thank you so so so much for all the time you've given me and thanks so much for supporting my Book Club! And a massive thank you for the very generous prize of 3 signed copies of your novel! It is very kind of you to help get someone's book group off to a super start!